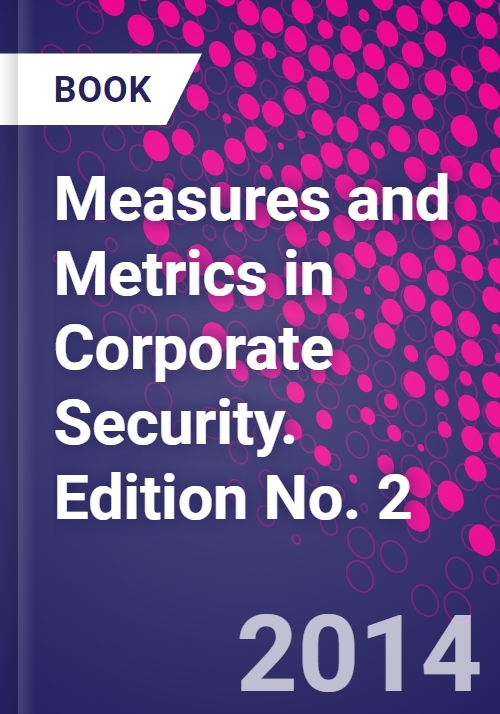 The revised second edition of Measures and Metrics in Corporate Security is an indispensable guide to creating and managing a security metrics program. Authored by George Campbell, emeritus faculty of the Security Executive Council and former chief security officer of Fidelity Investments, this book shows how to improve security's bottom line and add value to the business. It provides a variety of organizational measurements, concepts, metrics, indicators and other criteria that may be employed to structure measures and metrics program models appropriate to the reader's specific operations and corporate sensitivities. There are several hundred examples of security metrics included in Measures and Metrics in Corporate Security, which are organized into categories of security services to allow readers to customize metrics to meet their operational needs. Measures and Metrics in Corporate Security is a part of Elsevier's Security Executive Council Risk Management Portfolio, a collection of real world solutions and "how-to" guidelines that equip executives, practitioners, and educators with proven information for successful security and risk management programs. George Campbell served until 2002 as the chief security officer (CSO) at Fidelity Investments, the largest mutual fund company in the United States, with more than $2 trillion in customer assets and 32,500 employees. Under Campbell's leadership, the global corporate security organization delivered a wide range of proprietary services including information security, disaster recovery planning and crisis management, criminal investigations, fraud prevention, property and executive protection, and proprietary security system design, engineering, and installation. Since leaving Fidelity, Campbell has served as a content expert for the Security Executive Council, of which he is a founding Emeritus Faculty member. Campbell received his bachelor's degree in police administration from American University in Washington, D.C. He served on the board of directors of the International Security Management Association (ISMA), and as ISMA's president in 2003. Campbell is also a long-time member of ASIS International. He is a former member of the National Council on Crime Prevention, the High Technology Crime Investigation Association, and the Association of Certified Fraud Examiners, and is an alumnus of the U.S. State Department's Overseas Security Advisory Council.